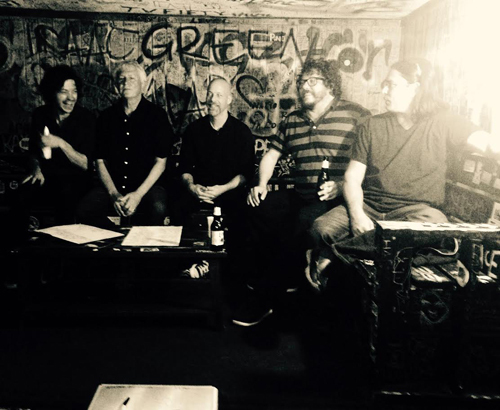 “When we go to sound check, he goes to record stores.” That’s how guitarist Bobby Bare Jr. begins his description of the preparations Guided by Voices leader Bob Pollard makes ahead of each show. “That was pretty crazy,” Bare laughs. “But in general, Bob wants us to be very, very prepared.” For this tour, that meant learning literally dozens of songs, including some that no GBV lineup has ever played live onstage. “I’ve never been in someone else’s band before,” says Bare, who has a thriving career of his own. He’s released eight albums, carrying on the family tradition begun by his father in the 1950s.